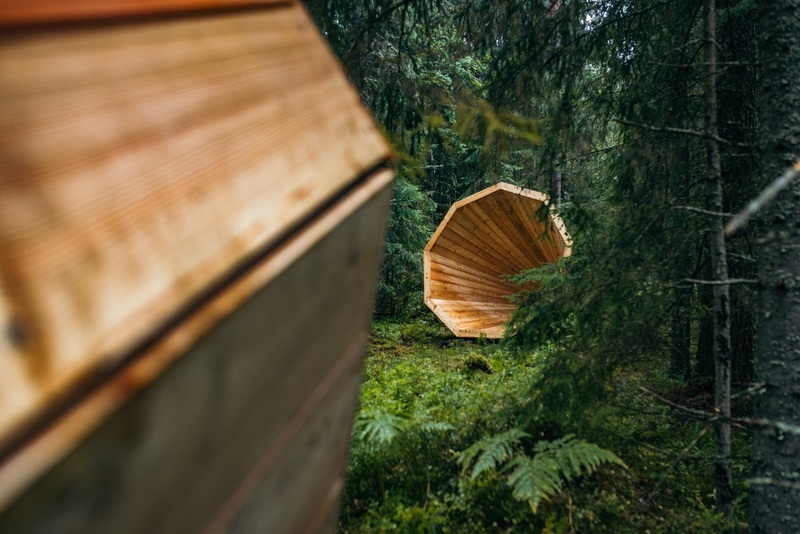 The forest megaphones are an installation consisting of three giant wooden megaphones where the sounds of nature can be listened to in an amplified manner. It is a project that was born in the cooperation of RMK and the first year interior architecture students of Estonian Academy of Arts. 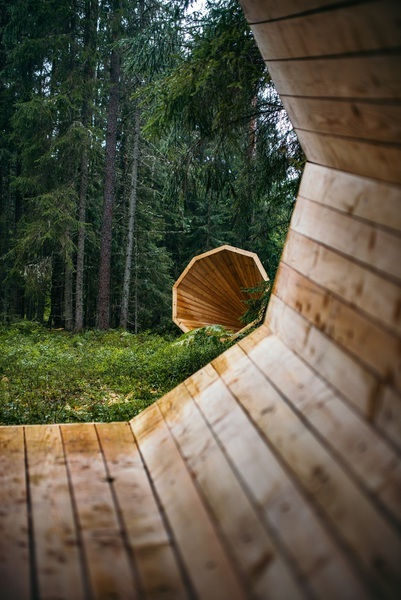 The project aimed to realize the idea of a forest library. What kind of construction would enrich the journey of a hiker? How would you read the book of nature? Sitting in the giant megaphone you can listen to the sounds and silence of the forest. The megaphones can be used as an exciting outdoor classroom, but they are also suitable for small-scale cultural events. And an undemanding hiker can even pass the night in one. 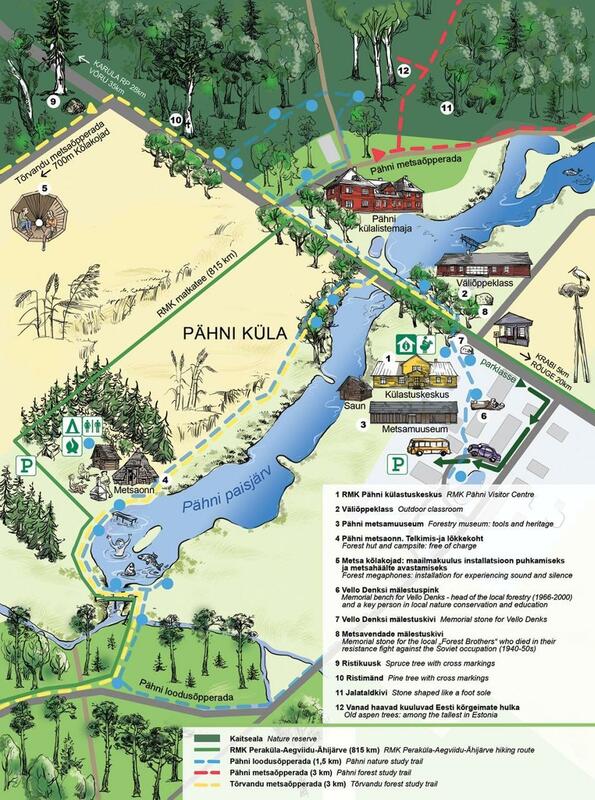 Hiking options possible to hike on the Pähni forest study trail (3 km), on the Pähni nature study trail (1.5 km) and on the Tõrvandu forest study trail (3 km). 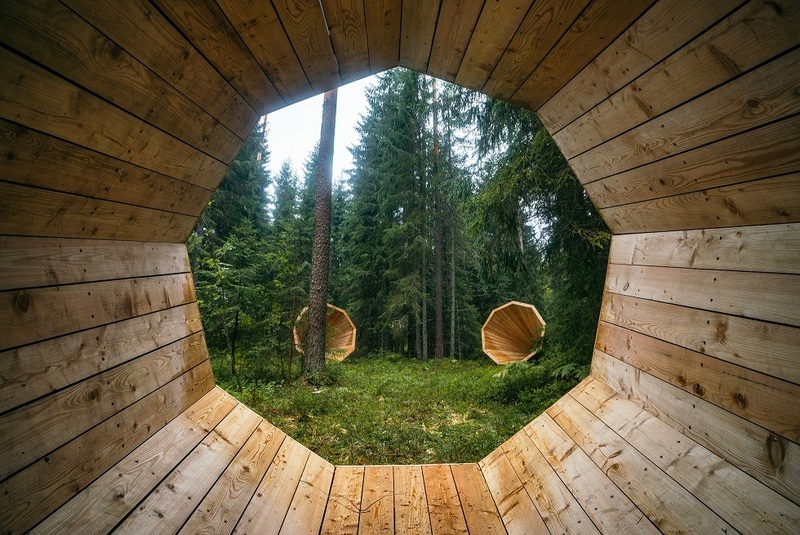 Sights Possible to visit the exhibition of the Pähni Nature Centre. first year students of interior architecture of Estonian Academy of Arts Mariann Drell, Ardo Hiiuväin, Lennart Lind, Henri Kaarel Luht, Mariette Nõmm, Johanna Sepp, Kertti Soots, Sabine Suuster, Birgit Õigus. Supervisors: Aet Ader, Karin Tõugu, Kadri Klementi ja Mari Hunt (architecture office b210) ning Tõnis Kalve ja Ahti Grünberg (Derelict Furniture). Consultants: Valdur Mikita, Hannes Praks, Tõnu Peipman. Drive 6 km until you reach Pähni village. At the end of the gravel road turn right at the first crossroads and drive until you see the sign "Metsa kõlakojad" by the road.